Northland has long been an important place for the indigenous Māori people. The very northern tip of North Island, it is said that the legendary Maori explorer Kupe landed here, beginning the Māori occupation of the land sometime in the 11th century. And the European occupation of what would become New Zealand also began here in the late 18th century, as explorers made land fall on Northland and by 1840, the formal Treaty of Waitangi was signed between Britain and Māori chiefs. The treaty is considered the founding document of New Zealand, and signs all over Northland today proclaim the region as "the birthplace of a nation". 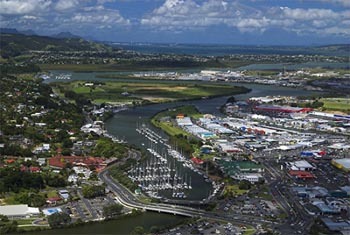 The city of Whangarei is Northland's biggest and is packed with cafes and restaurants, art galleries and museums. While you are there visit the largest collection of clocks in the southern hemisphere at the National Clock Museum. Also worth a visit are the Quarry Arts Centre, a cooperative of artists and craftspeople, near the centre of the town and Kiwi North - Museum, Kiwi House and Heritage Park. This historic town is popular with visitors, both from home and abroad, drawn to the region known to New Zealanders as the Far North and beloved for its sub-tropical climate. Boat hire can be arranged so you can try your hand and land your own big game fish or if you fancy the challenge, take part in one of the many competitions that are regularly held in these waters. 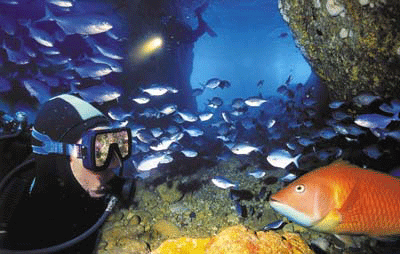 Whangarei Heads offers the best of both worlds, on land and sea. Its crystal clear blue waters and spotlessly clean sandy beaches surrounded by native bush, dramatic headland and volcanic peaks such as Mount Manaia. Surfing and swimming here appeals to all ages and abilities while other water sports such as kayaking, diving and fishing are equally popular and you can even go swimming with dolphins for an unbeatable holiday experience. Golf courses abound, too, although golfers might find it hard to tear their gaze away from the outstanding scenery. A terrific way to see this stunning part of the world is on horseback or by quad bike for an adrenaline-fuelled day out. 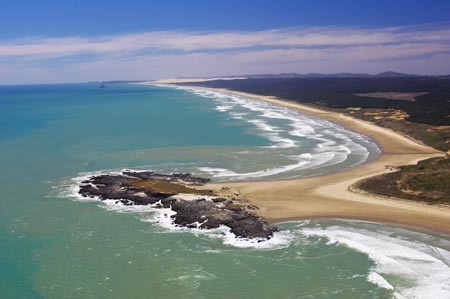 The western coast of the region is dominated by several long straight beaches, the most famous of which is the inaccurately named 55 mile (88 kilometre)-long stretch of Ninety Mile Beach in the region's far north. It stretches all the way to Cape Reinga, the tip of the island where the Tasman Sea meets the Pacific. Two large inlets are also located on this coast, the massive Kaipara Harbour in the south, which Northland shares with the Auckland Region, and the convoluted inlets of the Hokianga Harbour. Artists have long been drawn to the dramatic scenery of Northland with significant Maori art and artefacts on display in museums and galleries. Don't miss the Kauri Museum, at Matahoke on the west coast, where the story of Northland from its pioneering past to present is told. Close to Mount Manaia is an area of national cultural significance, one of only five Kiwi sanctuaries in New Zealand, and a marine reserve. Mount Manaia is a must-do climb, too, offering breathtaking views from its summit. The land is predominantly rolling hill country. Farming and forestry occupy over half of the land, and are two of the region's main industries. Although many of the region's kauri forests were felled during the 19th century, some areas still exist where this rare giant grows tall. 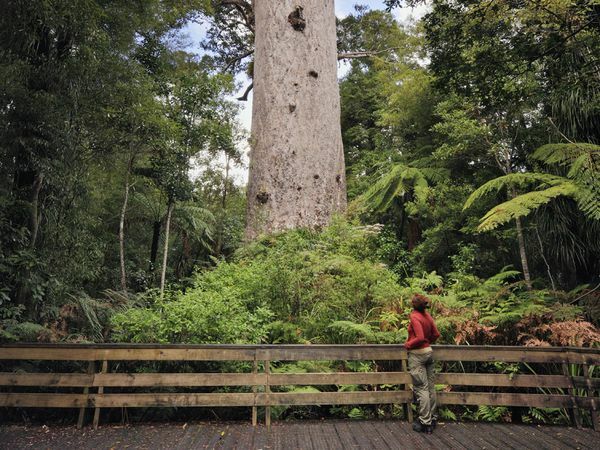 New Zealand's largest tree, Tane Mahuta, stands in the Waipoua Forest south of the Hokianga Harbour. And if you want to sample some of what New Zealand's climate and land can bring to the modern visitor, visit a winery and try out locally produced wines that will have you toasting your decision to visit Northland. The climate of Northland is a pleasant sub-tropical one and the summer months from December to February bring average daily temperatures of 24°C - do expect rain showers so make sure you don't leave your holiday accommodation without a rain jacket or cagoule. Autumn and spring are both lovely seasons to visit Northland while its winter temperatures are warmer than the rest of New Zealand, making it the nation's favourite getaway from June to August. The northernmost points of the North Island mainland lie at the top of Northland. These include several points often confused in the public mind as being the country's northernmost points: Cape Maria van Diemen, Spirits Bay, Cape Reinga, and North Cape. The northernmost point of the North Island is actually the Surville Cliffs, close to North Cape, although the northernmost point of the country is further north in the Kermadec chain of islands. 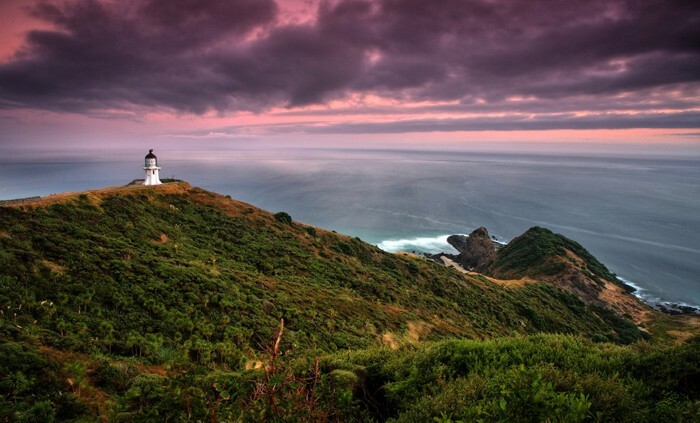 Cape Reinga and Spirits Bay do, however, have a symbolic part to play as the end of the country. In Māori mythology, it is from here that the souls of the dead depart on their journey to the afterlife. 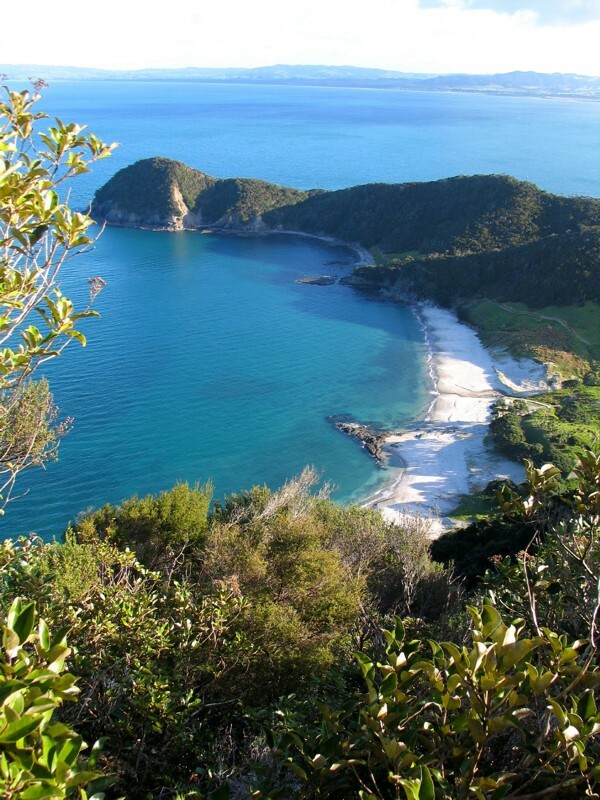 The main gateway to Northland is via Auckland and there are three regional airports at Whangarei, Kerikeri (Bay of Islands) and Kaitaia with regular connections from Auckland and from other airports across New Zealand. Renting a car is a wonderful way to see the best Northland has to offer and for those on a tighter budget, there are regular coach services from Auckland to the main towns.